The story of how a church dying for more than two decades found its soul—and a new identity. In the foreword to this book, Tex Sample says: "The Christ who is Lord of the Church stands at the margins of the world. To forget either Christ as Lord or the Christ at the margins is to lose our ways as the churchàIn this faith-inspiring book, John Flowers and Karen Vannoy call the church again to the Christ who is Lord who appears at the margins of established, respectable life." Not Just a One-Night Stand is based on the ministry experience at Travis Park United Methodist Church in San Antonio, Texas. When you read the chapter titled "You're Under Arrest," you'll gain insight into the personality of Flowers and the ways in which he and Vannoy engage in ministry. 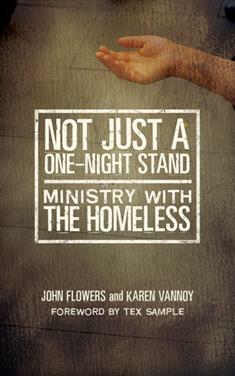 Far more than a memoir, Not Just a One-Night Stand offers creative approaches to ministry with those who are marginalized.